Mersive Solstice provides an effective and affordable digital signage solution for all room types, including huddle rooms and transition spaces. Do you want to bring the power of both Digital Signage and Wireless Content Sharing to any meeting space? 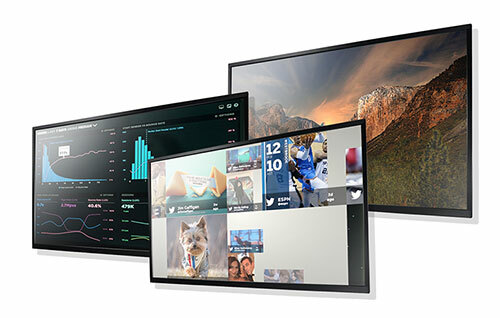 Mersive Solstice extends the ability to play HTML-based signage content on Solstice-enabled displays. Supported signage sources include Appspace feeds, Google slides and sites, screen feeds and many more! Get the best value from Solstice with a holistic platform designed to increase productivity and collaboration across your organization. They’re believers. You can be too. Digital Signage to the Next Level?